FRANCE – approaching La Tour du Pin, south east France, between Chambéry and Lyon on Route Nationale 6, September 2011. It’s commonly assumed the Priority to the Right rule is dying out. But as our photos show, all taken in the past couple of years, all around the Continent, Priority to the Right is very much alive and kicking. It’s counterintuitive for the British, that even cars on gravel side tracks have – at least in theory – priority over traffic speeding down a main road. The idea is that drivers don’t have to wait interminably at side junctions. 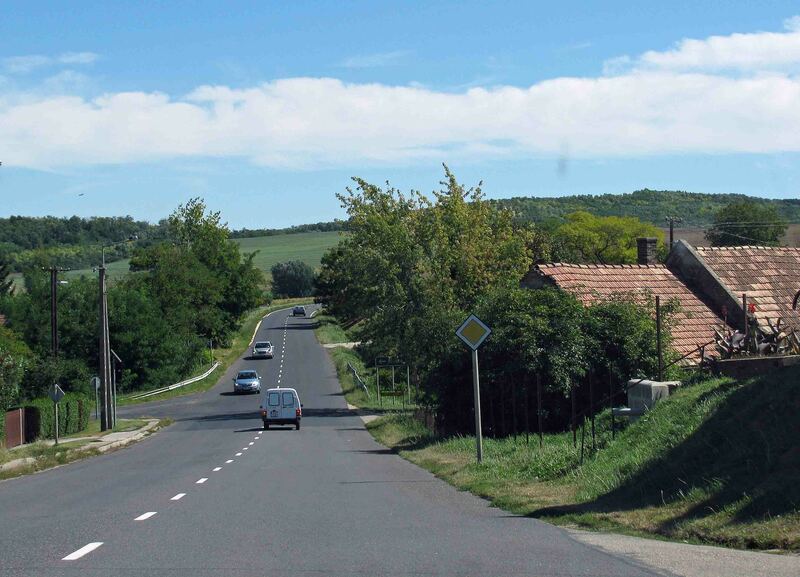 HUNGARY – on Route 82, from Györ to Lake Balaton, the Hungarian Riviera, September 2011. Priority from the Right applies in France, Germany, Belgium, Netherlands, Italy, Denmark, Sweden, Hungary, Croatia, etc, etc. The only countries we are – fairly – confident it definitely doesn’t apply in are Spain and Portugal. 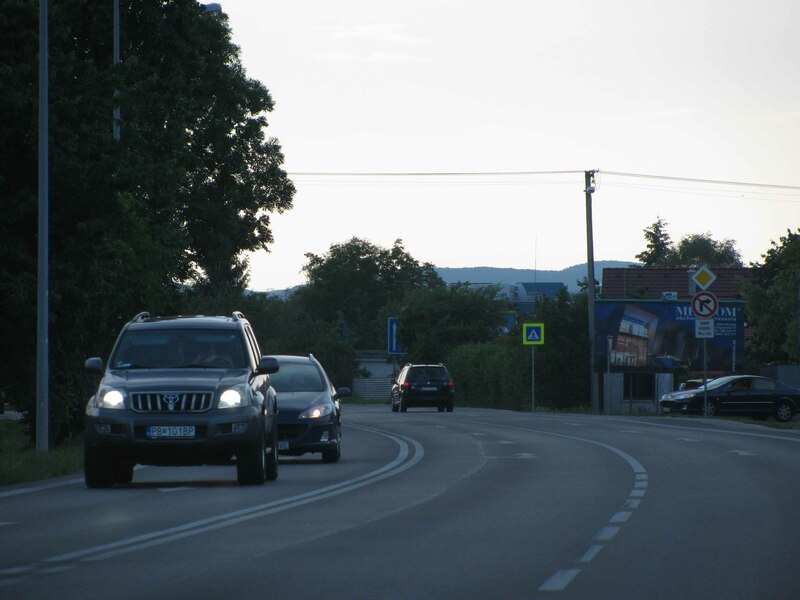 Wherever you are, be aware that the driver you can see approaching from a side road may pull out. CROATIA – the centre of Split in southern Croatia, May 2012. The only junctions where you can be sure Priority from the Right does not apply are the ones preceded by a yellow diamond sign (or other obvious priority sign). A yellow diamond means you are on a priority road. In France, the priority lasts until you see another yellow diamond sign, this time crossed with a black line. In other countries, the priority applies only to the next junction. 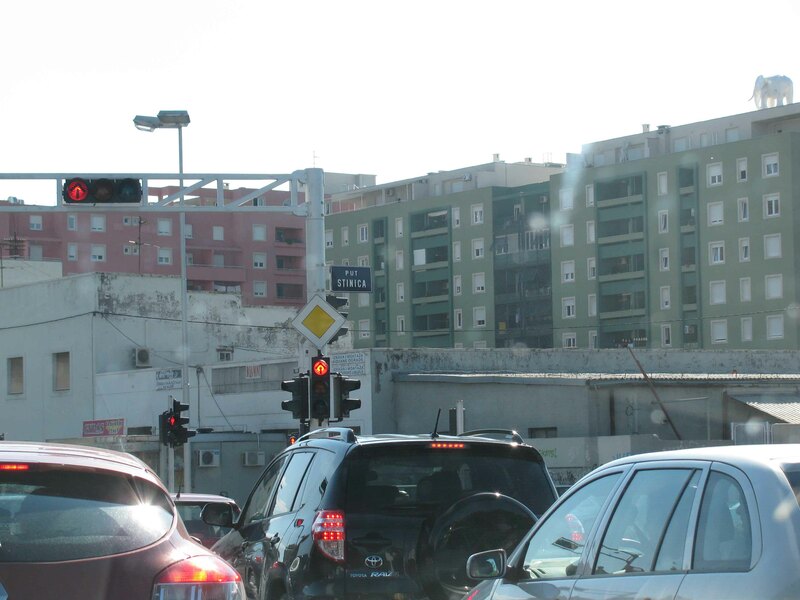 SLOVAKIA – driving into Bratislava, May 2012. It’s irritating that cars from side roads have priority until, of course, it’s you that’s wanting to pull out. 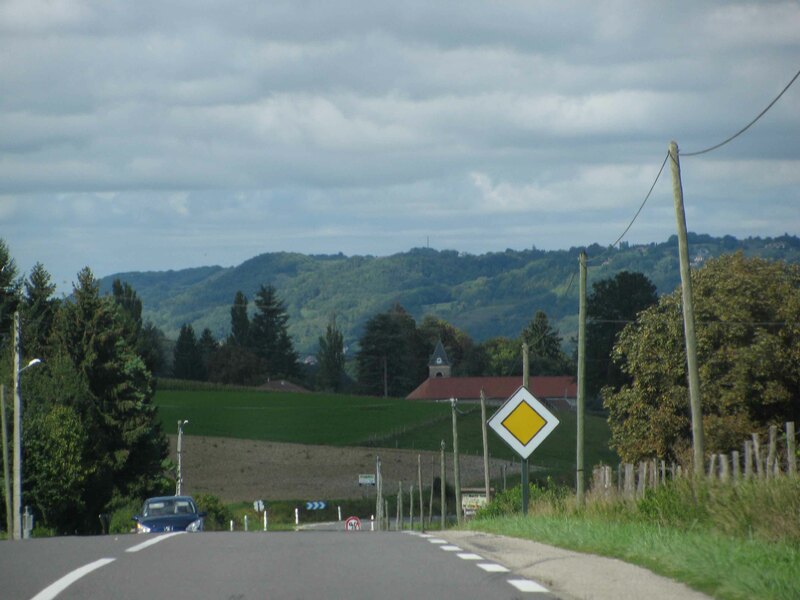 In practice though, most side road junctions are peppered with red-bordered white triangle signs meaning Give Way (Cedez le Passage, for instance, in France). If your junction isn’t, and doesn’t have a hatched white line either, or – particularly – a row of ‘shark’s teeth’ (little white triangles) then it means you have priority. Go for it. Caution: just because it’s your priority, it doesn’t mean you have carte blanche to pull out no matter what. Common sense still applies.